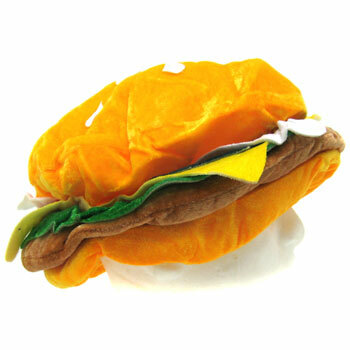 Hamburger Hat measures 13 inches in diameter and 7 inches tall. One size fits all. Sold by the each. $6.15 each for 24 or more. $5.30 each for 48 or more.